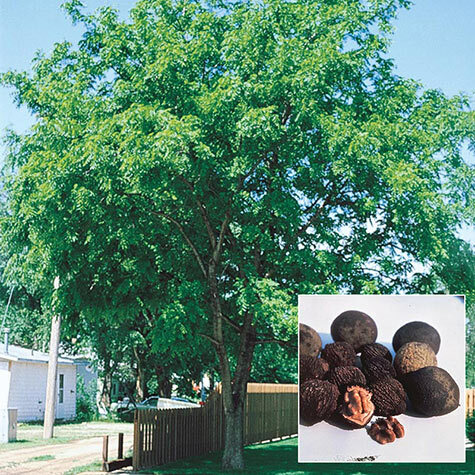 Black Walnut Tree | Gurney's Seed & Nursery Co.
Bears up to 30 bushels of nuts once established. Truly a gourmet favorite—black walnuts have a rich flavor prized for baking, plus twice the protein of English walnuts. Trees grow up to 75 ft. tall with dark green foliage, excellent for providing shade. Dark brown wood is strong with an attractive grain, providing valuable timber. 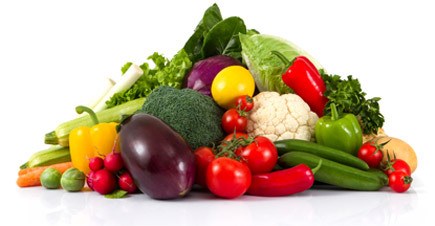 Self-pollinating, but plant two or more for top crops. Spacing: At least 8 - 12 feet apart for groupings, but 30 - 40 feet apart when growing for a specimen tree. Spread: 30 - 40 feet. Pollinator: Partial self pollinating - but requires another black walnut for larger yields. Yield: Varies. Up to 30 busles at maturity. Foliage: Medium to dark green, oval leaves, compound. Fruit: Green cased nut often dropping to ground when black. Flower Form: Not showy, catkins. Soil Requirements: Well-drained, deep. rich, moist soil. Tolerates dry soils once established. Growth Rate: Medium growth rate. 12 - 24 inches per year. Comments: Prized for nuts and timber. Bears up to 30 bushels of nuts once established. Truly a gourmet favorite-black walnuts have a rich flavor prized for baking, plus twicw the protein of English walnuts. Trees grow up to 75 feet tall with dark green foliage, exceellent for providing shade. Dark brown wood is strong with an attractive grain, providing valuable timber. Self-pollinating, but plant two or more for top crops.